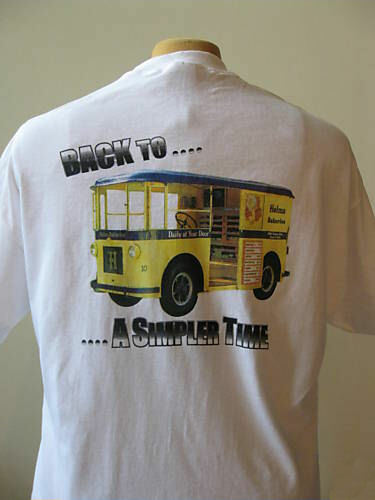 T-shirt: Front reads "...A Simpler Time" and the back has picture of 1931 Helms Bakery Truck and reads "Back to... A Simpler Time". 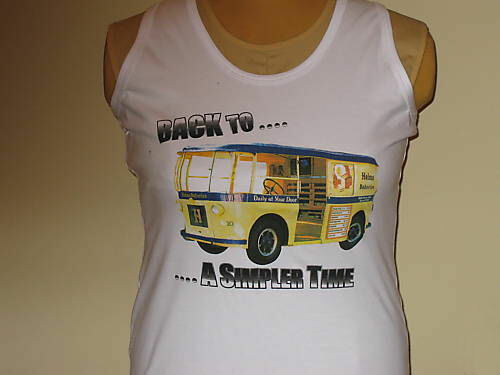 The women's tank: Front has picture of 1931 Helms Bakery Truck and reads "Back to... A Simpler Time". 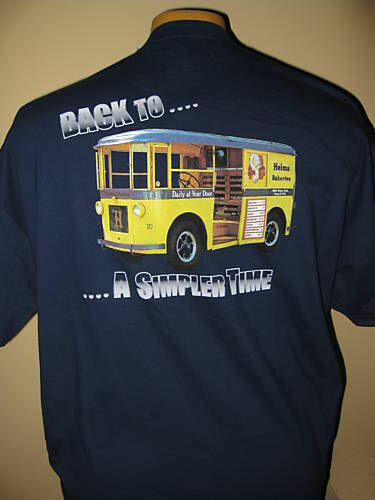 Color: Navy Blue, 100% Cotton, Short Sleeve and Long Sleeve. Select size below. Color: White, 100% Cotton, Short Sleeve. Select size below.